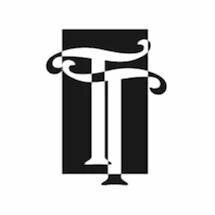 At The Law Offices of Truluck Thomason, LLC, in downtown Greenville, our attorneys are committed to providing personalized corporate counsel legal services to clients throughout South Carolina. Our attorneys have experience handling a full range of legal services for startups, medium-size companies, large corporations and Fortune 500 companies. At The Law Offices of Truluck Thomason, LLC, our attorneys provide personal service and high-quality legal services to protect your interests at all times. We will protect your goals and address legal issues as they arise so you can focus on your business. We are committed to finding cost-effective and creative resolutions in every situation. Our firm is able to represent you at every stage, whether you are starting a new business, involved in a dispute or need to protect your assets during a divorce or probate matter in South Carolina. We have experience handling complex corporate issues and look forward to developing long-term professional relationships with our clients. Contact us to arrange a free consultation to see how we can assist with your legal needs.